A space shuttle carries astronauts / cosmonauts to space. You must have seen visual of space shuttle mounted to a rocket on a launch site. Rocket usually carries 1 million pounds of fuel which is required to propel the rocket to escape the gravitational force to break into space. NASA used to have space shuttles like Columbia, Challenger, Discovery, Atlantis, etc and Russia have Soyuz family of spacecrafts. Currently only Soyuz is used by both USA and Russia for space travel. Soyuz is pretty primitive in terms of its working compared to NASA’s space shuttles however, its more efficient and robust. A Soyuz spacecraft is usually divided into 3 modules. (1) Instrument module (2) descent module and (3) orbital module. This of-course is besides the rocket modules (3-stages) which fires the spacecraft into space. 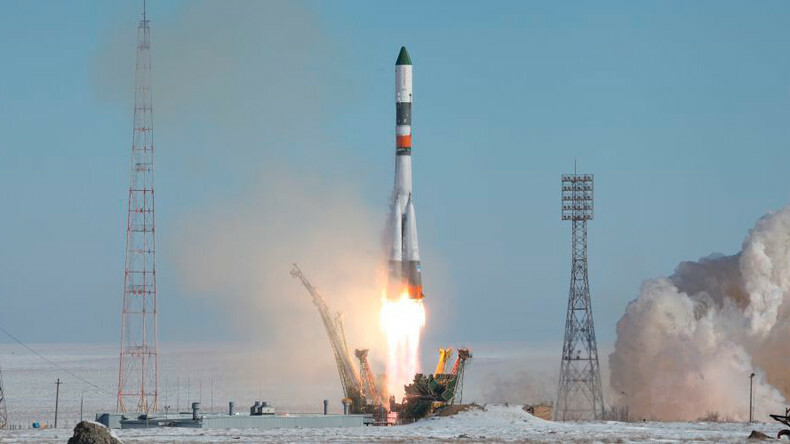 In usually 2 minutes from the launch, the spacecraft easily reaches an altitude of 40 kilometers above the sea level and gets rid of the rocket and boosters to reduce the weight of the vehicle. By this time, they are empty and consumed anyway. The 2nd stage (additional rocket) keeps the spacecraft traveling for another 4- 5 minutes and then its jettisoned as well when the spacecraft reaches an altitude of about 170 – 180 kilometers above sea surface. The last stage (rocket) is jettisoned at around 9-10 minutes since launch when the spacecraft reaches an altitude of 220-230 kilometers. At this juncture, the astronauts start to feel microgravity where object float in the air. The next stage is the most challenging stage of the launch. Now once the spacecraft is reached to an orbit, it has to catch up and get attached to ISS (International Space Station). ISS is like a stop / destination of the spacecraft which is about 420 kilometers away from the ground. The spacecraft has to perform precise calculations in order to position itself firstly into the orbit of the ISS and secondly to position itself near the ISS coming from the other way. This maneuver is completed using technique called Hohmann orbit transfer. Once the space shuttle reaches near the ISS, it connects itself using hatches with ISS and finally the space journey of reaching the desired destination is complete. The last stage of the journey is the return back to earth. After getting detached from the ISS, the spacecraft travels in the direction of the earth for few minutes. At this stage, the instrument module and orbiter module is jettisoned and the crew prepares for the descent. The descent module where crew is seated enters the atmosphere of the earth in what is called as deorbiting stage. This stage is highly precarious. The temperature of the spacecraft reaches 1500 – 2000 degree celsius while entering into the earth atmosphere. The speed of the aircraft reduces due to the atmospheric pressure and plasma is produced around the space shuttle module. Finally when the module reaches altitude of about 10-11 kilometers, parachutes are deployed to further slow down the shuttle. Please note that the speed of the space shuttle before entering the atmosphere is about 28000 kilometers per hour however, when it reaches to an altitude of 10-11 kilometers before the deployment of parachutes, its speed is reduced to about 800 kilometers per hour due to atmospheric resistance. After the parachute is open, the speed further reduces to around 20-22 kilometers per hour. Just few seconds before the shuttle touches ground, rocket thrust is fired in order to further reduce the speed and manage safe landing for the shuttle. The crew members are then taken out of the craft for further medical examination and this is how a successful landing operation completes. The entire operation is watertight accurate and any lapse can result into loss of millions of dollars and most importantly lives of the crew members.